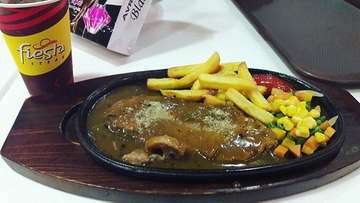 During The Globalization Era In Late 80'S, Western Food (Steak) Had Been A Common And Popular Meal For Indonesian And Especially The People Of The Capital City Jakarta. This Was Marked With The Western Based Food Restaurants Opening In Most Parts Of The City. At That Time Most Of The Restaurants Concepts Was Purely High Priced Fine Dining, Which We Would Normally Find In Similar Restaurants In The Western Part Of The Globe. The People'S Point Of View At That Time Was Western Food, Especially Steaks, Were Food For The Rich. 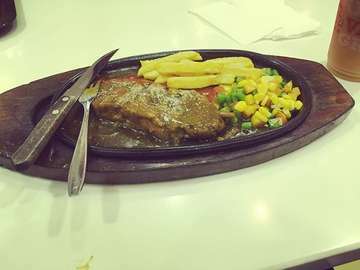 And From That Fact, Came An Idea To Serve Different Varieties Of Steak, Bbq, And Many Types Of Western Food, Which Would Still Have An Excellent Quality Combined With An Affordable Price, For All People To Enjoy. 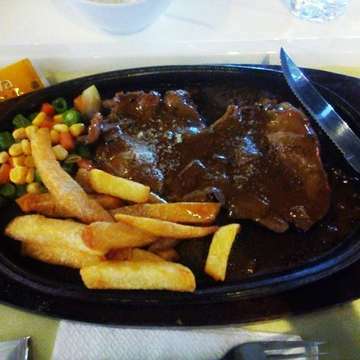 This Idea Was Then Realized With The Opening Of The First Fiesta Steak Outlet On March 1988 In Jakarta.